Chester and Carl Shear were born on the very day General John Hunt Morgan led his troops into Kentucky...July 2, 1863. Two days later Morgan engaged Union forces at Tebb's Bend, a bridge crossing the Green River near Campbellsville in the Civil War torn state of Kentucky. The new born infants of German immigrants began life in a state with divided loyalty's to the Confederacy and the Union with strong ties to Kentucky born President Abraham Lincoln. At the age of 19, Chester and Carl made their way to Texas. 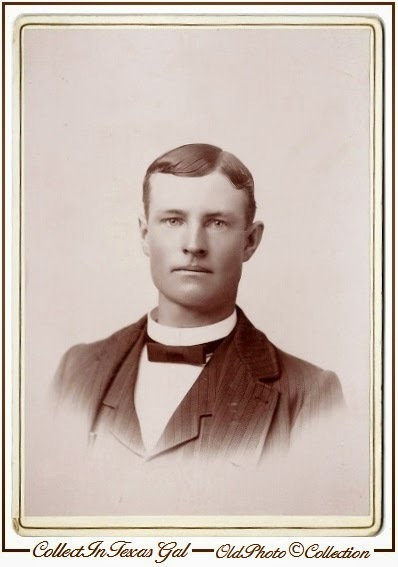 In the late 1890's Chester was a Pharmacist at a drug store located in a small West Texas town. Carl continued on South to a larger populated area to study medicine. It was during this time Chester became acquainted with Dr. Abel Bergman and his four daughters. Dr. Bergman, a Swedish physician from New York, came to America in 1889. He and his wife Hilda were persuaded to come to Texas with the promise of 80 acres which included a Sanitarium. After several years as the Sanitarium Director, Dr. Bergman became concerned his now of age charming daughters would become involved with the rough and rowdy men of West Texas. The Bergmans packed up their belongings and four daughters and boarded a train heading South. Before they traveled twenty miles, the train was boarded by four masked men who grabbed the four beautiful daughters, who happily rode off on horseback. Twenty year old Gretchen Bergman became the bride of Chester Shear, 34 year old pharmacist in 1899. A few years later Chester and Gretchen moved to Arizona, for Chester's health...he suffered from consumption (tuberculosis). As a common malady of the time, TB was often the reason for moving to the drier climate and sanitariums of Arizona. Chester and Gretchen returned to Texas before 1905 when their son Harold was born. Chester died the next year leaving his young widow and son alone and destitute. Gretchen and five year old Harold are next found in the 1910 Census living in San Antonio, Texas in a doctors private home where she was employed as a live in servant. Ten years later in the 1920 Census, they are listed as living with, Gretchen's father who is now widowed and a practicing physician. Also listed is Gretchen's new husband, Dr. Carl Shear. Hi Sue .. how interesting that she married both brothers ... and their story line of moving around. Then their professions correlated with Dr Bergman - I'm sure this was a common sort of life 100 years ago .. but it's great you've been able to trace the records .. I've seen that a lot in my family research: a widow marrying her brother-in-law; a widower marrying his sister-in-law. Very interesting history. I love reading your posts. Great reading and interesting lives. Well they sure kept it in the family. Still it is amazing to see how lives merge and time presses on. Great post. Fun to read the stories behind the photos. Great job with your research! What an interesting post. Amazing how Gretchen married both brothers.